**** We received the following product, complimentary, for the purposes of the following review. No further compensation was provided. All photos contained below are property of Momma Told Me Blog 2013. Momma Told Me: Get out and do something! It's not easy, as a girl, staying motivated in outdoor activities. In adulthood I have the freedom to go on long walks, or take a weekend off to go camping. When I was younger there were limitations pertaining to safety and resources. 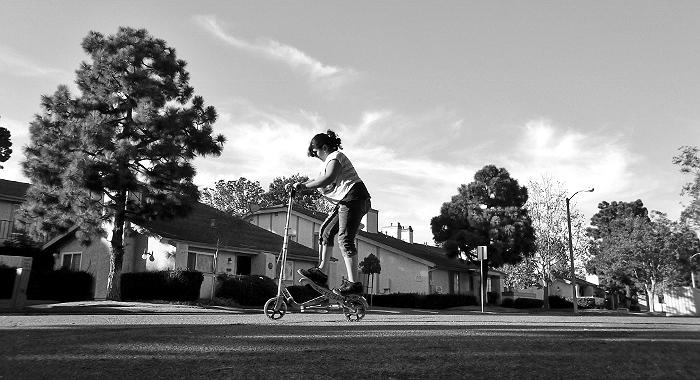 Outside of joining school athletic programs, most girls are left with hopscotch and biking. And, if you've read my previous reviews, you know I never took that up! 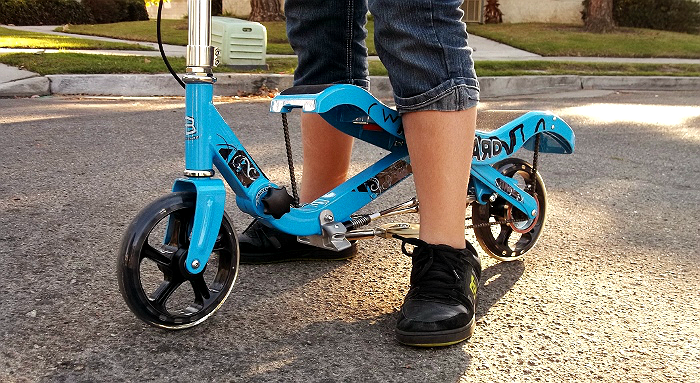 I remember the first time I saw a Razor Scooter, I had wanted one so bad I begged my parents for the better part of a year. Each holiday came, and pass, with no scooter. All the boys in our neighborhood, my friends, had skateboards which I was much too intimidate by. It was enough to rekindle my interest in biking but, by then, Momma had already made her mind up, she was not going to shell out $200 on a bicycle that would likely end up collecting cobwebs on the patio. Today's generation is bombarded with endless electronic stimuli, glued to televisions, video games, and cell phones. If it doesn't have a motor, or a modem, in it, it's simply not of interest. The girls here literally pout and raise tantrums when the screens turn off and the soccer ball comes out! It's no wonder we, as Americans, are out of shape. So, while family gaming systems like the Wii are great for weekly gatherings, it's equally important to re-group and get active. The solution? The only way, I see, to battle mass childhood ADD is through the combination of multiple items. That's right, a hybrid so intensely cool and captivating that children (and adults) are forced to take note and get outside! For me, as a grumbly teenager, the key was a fateful weekend trip to the desert salt flats, with Momma's rickety (but colorful) land yacht. Now, to the average person, strapping yourself into a bucket seat 6-8" off the ground with nothing but a triangular metal frame at your base, and a giant 7' sail might seem a bit precarious. Take that same device and drop yourself in the middle of an open lake bed with winds 15MPH+, and you have a speeding mass of flesh and steel that can reach up to 70MPH+. Remember folks, this is less than a foot off the ground, with nothing surrounding you, and at the mercy of nature's unpredictable wind. It was this combination of wind and motor(less)sport that had me thoroughly terrified at first, then completely hooked. With these memories in mind I set out to find something as compelling and thrilling to occupy Sabrina's (11) weekends. What I discovered was the Rockboard Scooter, combination bike, combination self-propel scooter. It looks about as odd as it sounds, with a name that is impressively accurate, but this human powered two wheel machine can reach speeds up to 10MPH! 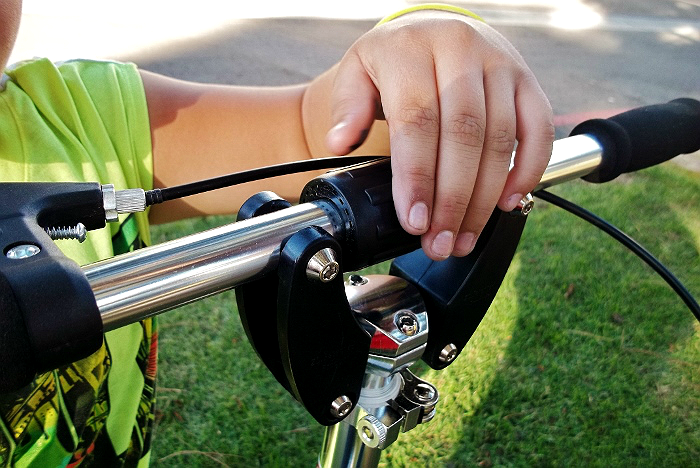 Available in Original (ages 8+, up to 200LBS) and the newer Mini (ages 5+, up to 90LBS) these flashy scooters encourage equilibrium development and harness many of the properties of an average bicycle. One thing's for sure, you won't get away with being lazy and 'drifting downhill' on one of these! 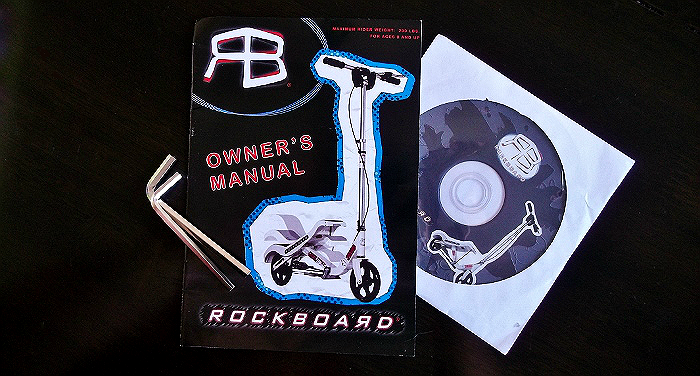 Okay, you CAN switch gears and 'lock' the Rockboard for use as a traditional scooter, but why would you want to do that when you can Rockboard your way around town without ever having to put a foot on the ground? 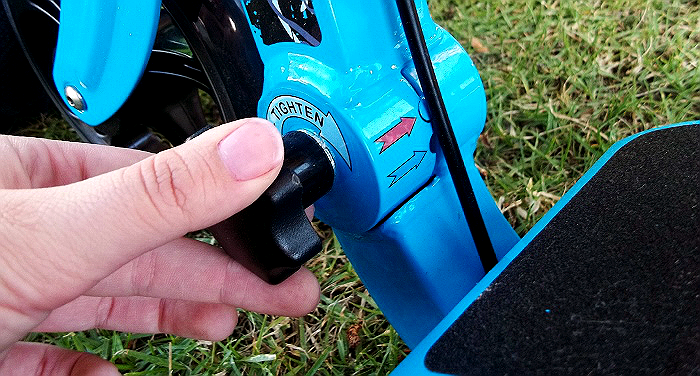 And the easy pump style brake makes stopping in an instant safe and efficient. We received a Blue Original Rockboard for review here on Momma Told Me, during Christmas Wishes. This 'child's toy' quickly caught the eyes of all the adults in the house, as it came ready to go and pre-assembled with a manual and instructional DVD. I was initially blown away by how heavy this thing actually is. The Original weighs around 25, yes, 25lbs, and is around 4' in length. While the entire scooter collapses for easy 'grab and go' storage, it will require an adult, or teenager of strength to transport. It is 'too heavy' for Sabrina at this point. With it's die cast aluminum deck, and aluminum frame, the Rockboard is very durable, though pretty enough in design and detail that you'll still cringe at it's first ding. Out of the box we found there was an adjustable knob (located at the front) which controlled the locking and angle of the steering column for rocking vs traditional riding. Once loose, the steering column was able to be height adjusted according to the rider, then secured once more. The handle bars, folded down for space saving transport and pulled out and fastened via a threaded central connector. At the center of the steering column is a latch hook that pulls out and twists to adjust the height of the scooter. NOTE: Locking it up, the first time is natural. To adjust it back down there is a small notch that must be depressed. We've found this little notch to be sometimes finicky, and can pinch small fingers, so require and adult for this. On the left comfort grip handlebar is the aluminum alloy brake essential to control and safe maneuvering on sidewalks and vacant streets. Always remember to exercise cation with the Rockboard, wearing appropriate protective gear, and to supervise children when in use. 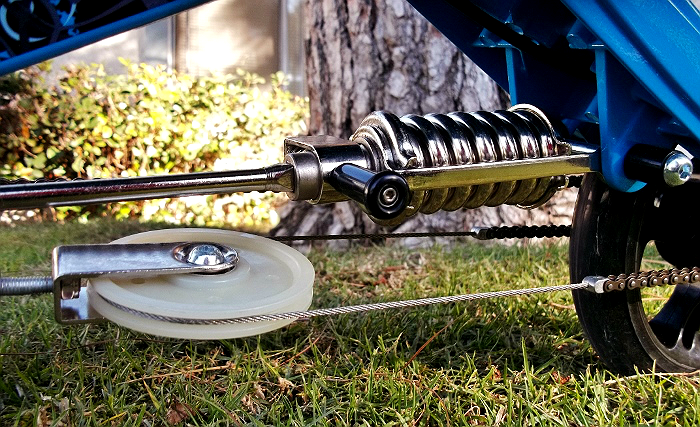 Attaching the foot base of the Rockboard to the back wheel is a familiar system resembling a bike chain and pulley. Not only does this rear-spring suspension system help propel the Rockboard up to 10MPH, but it provides a ride that is equally smooth on or off the sidewalk. We were surprised just how smooth, and easy on the knees, the Rockboard was when in motion. After 75 minutes of Rockboarding, Sabrina didn't event feel a cramp the following day, but I'm sure she got great exercise! The base of the Rockboard (where your feet go) is sufficiently lined with a grip material that helps prevent your feet from slipping while in motion. Riding the device, itself, offers suggested foot placement, though we found this differs with the size and weight of the rider (maximum 200lbs). I, personally, felt most comfortable with my left heel flat against the angled edge of the board, with the right foot straight on the bottom. Expect your calves to tone quickly! 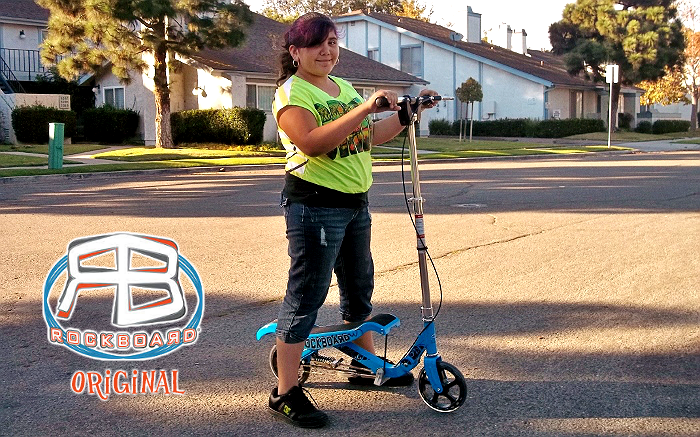 Sabrina (11) is tall for her age and could easily get the hang of the Original, but we highly suggest the mini for children under 90lbs, as well as proper pads and protection! 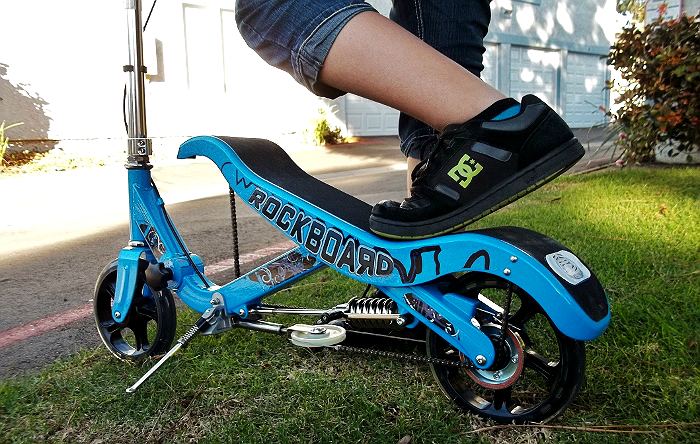 To sum it up, the Rockboard expands upon the classic scooter concept with it's easy conversion from standard to Rockboard, making these a great active toy to grow with. Sabrina grumbled a little at first, when she learned she had to 'rock' to keep the scooter in motion, but soon fell in love and never went back to 'traditional' mode. While the wheels are larger in thickness and circumference than traditional scooters, make sure the rider is aware they will need to pay attention for cracks and bumps in the road, as well as traffic! Sabrina had the instinct to put her foot down to stop the scooter, so we had to constantly remind her to use the break. Otherwise, the Rockboard Original was a major success- it will be hard to top this at Christmas! What Daughter Says: This holiday season pick up the combination scooter-bike that will have the whole family outdoors! 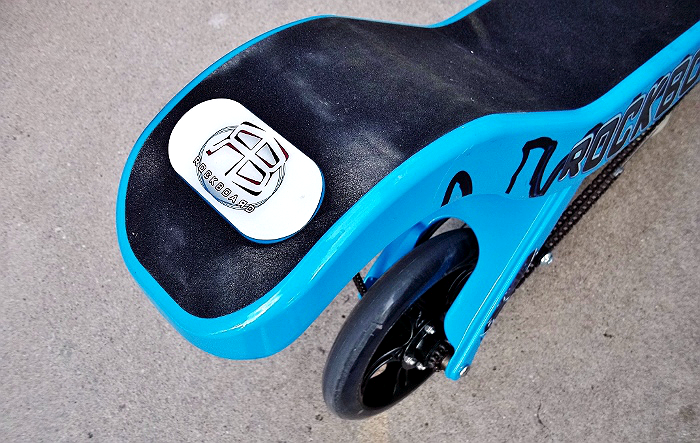 One Momma Told Me follower will have a chance to win a Rockboard Original Scooter, but there are 9 other chances to win a Rockboard product too! Just hop along to the following giveaways and multiple your chances: Keenly Kristin Rockboard RBX, Dad of Divas Rockboard Mini, Rats And More RBX Scooter, Makobi Scribe Rockboard Original, Blessed Elements Create Original Rockboard Scooter, Andrea's World Rockboard Original Scooter, Andrea's World Rockboard Descender and Daddy Mojo Rockboard Descender Skateboard! Please be sure to check out the Event Giveaway LINKY for ALL the Christmas Wishes giveaways! I like the Rockboard Original Red. How cool and interesting is that. The mini that lights up is too cool! I like the original. I think it would be great fun for myself and my husband and other members of my family. I think we would like the Original the most. It would certainly be a lot of fun. Thanks. The rock board mini looks fun. My family would have fun with the Rockboard Radiate! My girls would DIG the Original Rockboard! Our granddaughter would LOVE the Rockboard Original. I doubt she'd care which color she got. The Rockboard Mini would suit my son better. I also like the mini. I think the original Rockboard would be great! The Rockboard Radiate would be a lot of fun. 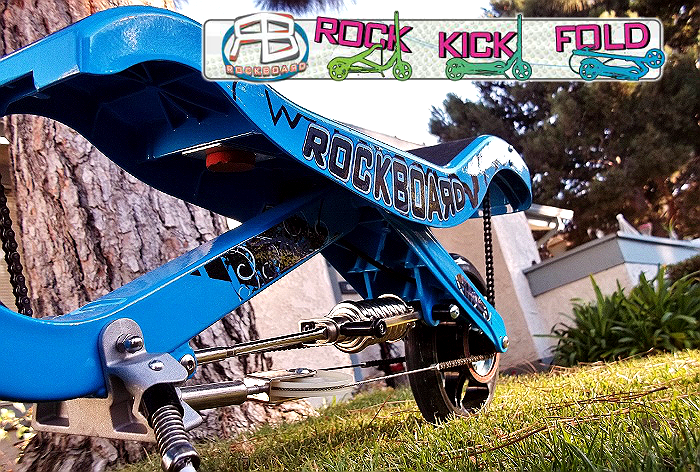 My son would like the Rockboard Radiate Skateboard. Thanks. I think my grandsons would have the most fun with the Rockboard Radiate. My daughter would love the rockboard original. I would love the radiate! My son loves to skateboard and he would enjoy the original or the mini in blue. I think the rockboard mini! we would have most fun with the Rockboard Descender. I think my nephew would love the rock board original scooter! My nephews would love the mini. My family would just love the Rockboard Mini! The original looks the best to me but the mini looks great too! I think my nephew would love the RockBoard Mini. My whole family would have a blast with the Rockboard Descender. My son would love the Original Rockboard in Black on Blue! I believe my sons would love the Rockboard original or mini the best. I would love the RockBoard Radiate...so cool! I think my son would also enjoy the Descender. I know my neohew would really like the Descender! I know my son would absolutely love the Descender! How cool! The rockboard mini would be very nice for both my kids. small enough for much fun and sharing. My son would also like the Rockboard Descender. my son would also like the descender. Thoughtful discussion ! Coincidentally , if anyone needs to rearrange some PDF files , my colleague discovered notice here https://kdp.amazon.com/community/profile.jspa?userID=806143.